Glad you had time away with the girls! Have a great reading week. :) Lovely reading to you Lindsey! Oh - girls' weekends can be fun. 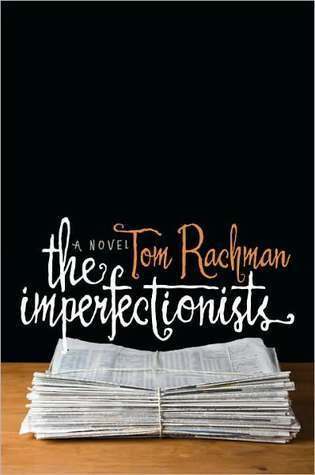 The Imperfectionists cover is interesting. I really enjoyed The Imperfectionists. I had added it to my reading list a long time ago and couldn't quite remember what it was about. It is a really wonderfully written book. The drive from NYC to upstate is gorgeous this time of the year, glad you had good family time. Our drive there was unfortunately done completely in rain, but the trip back home was beautiful. Thanks. I hope you enjoy your week too! Upstate New York is beautiful. Two weeks ago I had to take a break from this meme. Our one year old tuxedo cat had gone missing. It took us ten days to find her. Please come see what I'm reading now. I'm glad you found your cat! Have a wonderful week. Holidays with family are nice, just chatting and doing girly things. I like the look of your reads. I read and reviewed Mr Penumbra's 24-Hour bookstore this week - thanks for the lead! We had a great time chatting and playing Dutch Blitz. It's a rather addicting game. I'm off to check out your review of Mr. Penumbra's 24 Hour Bookstore. Hooray! 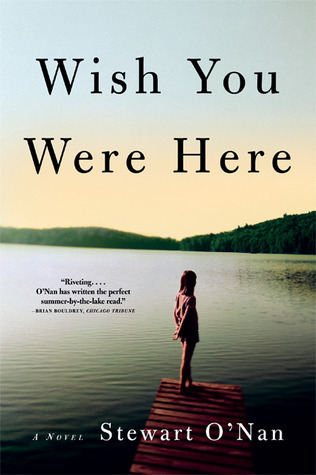 Wish You Were Here and F.Scott look like great reads. I don't know why that fella interests me so much but he does. I'm really enjoying Wish You Were Here. It's a really insightful book about family. 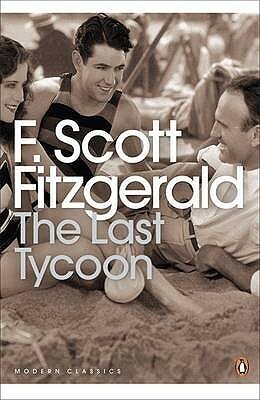 I'm excited to read The Last Tycoon. I think it's the only one of his novels that I have not read before. Hope you had an awesome time with your family - the weather was pretty fantastic this weekend upstate :-) Enjoy your reads this upcoming week. All great sounding books! I hope you enjoy your week! Thank you. Have a wonderful reading week! I love having girls weekends with my mom and sisters - always so much fun!!! I hope you have some great books this week! Thanks, Fay. The Imperfectionists was great. I'm excited to read The Last Tycoon myself and see what the editors did with an unfinished book.